Note - we no longer sell Windmill software as a stand-alone product, although you can still buy it with our data acquisition hardware. You can, though, download the free comDebug program to log data from one balance. This page is provided for our existing customers and comDebug users. Windmill software lets you continually log data from Mettler Toledo balances, and other instruments, on a PC running Windows. All data is time-stamped and can be imported into Excel either during or after data collection. Windmill has been used with a Mettler Toledo balance to, amongst other things, monitor ripening grape weight for wine production. 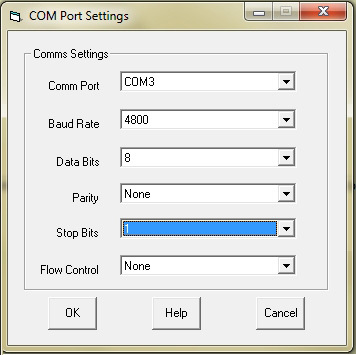 To use Windmill to collect data from a Mettler Toledo balance: download the software then..
For an overview of entering the configuration settings see the Getting Started with ComDebug page. Specific example settings for Mettler Toledo balances are given below. In ComDebug's Terminal or Message Screen, enter a command or prompt string to send to the balance to ask for data. Click the Send button, and the instrument should send a reply (see Fault-Finding below if not). Now click the Parse button and enter instructions to extract the data from the balance's reply. Check your balance's Interface Operating Instructions for details of the commands to send, and the format of the balance's reply. The example given below requests a single stable value. Use the non-print menu to enter the carriage return (<CR>) and linefeed (<LF>). 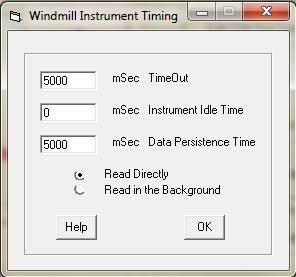 You can use the Windmill Logger to collect data and after collection has finished import it into Excel. Alternatively, you can collect data with Excel in real-time by using an Excel macro to read data from the Windmill DDE Panel. If you are unable to get data from your balance go back to ComDebug's Terminal screen. Make sure your command is shown in the prompt grid, like in the picture. Click the Send button: does your instrument reply? If your balance says it is using 2400 baud, 7 data bits and even parity you may have it setup to talk to a printer rather than a computer. Use the balance's menu to change the Peripheral Unit from Printer to Host. Make sure your balance's send mode is not set to off. Check the balance's Send mode menu. If you still have problems then get the balance to send an identification message. Switch it off and then on and it should send identification string I4, e.g. I4 A "0123456789". If not check your cable. At least three connecting lines are needed: Data line from the balance (TxD signal), Data line to the balance (RxD) and Signal ground line (SG). If possible try swapping the cable between the balance and the PC for another to see if that is the problem. "Your software works with our Mettler weight. My problem is that I have to take measurements while the weight is changing. (I need to take measurements each second, while i empty a bag of fluid in a container on the weight.) When the weight isn't changing it works fine, but when I start the flow of the fluid, and the weight is changing constantly, I get errors. Is there a way, to get data out, while the weight is changing continuously?" Instead of using a command to request a stable reading, use a command to immediately transmit the next weighing result without waiting for stability. For example, depending on the model of your balance, the command SI rather than S.
You could alternatively set the balance to continually send weighing results. In this case make sure that, in ComDebug, you choose "Read in the Background".